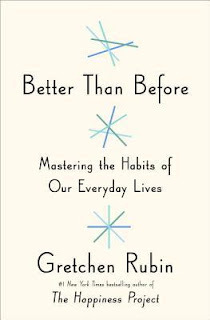 A couple of nonfiction books for you, as promised in my last post! 3 stars: Some good basic info, plus I learned a few things! Roach has divided the books up into seasons, but not spring-fall-summer-winter like most gardening books might do. Instead, she compares annual seasons in the garden to seasons of life. So the season during January & February is Conception. Birth is March & April, Youth--May & June, and so on. It was an interesting way to look at things. One thing I really appreciated was that she and I are in the same USDA horticultural zone (find yours here! ): zone 5. So most of her advice I could directly apply to my own gardening efforts. 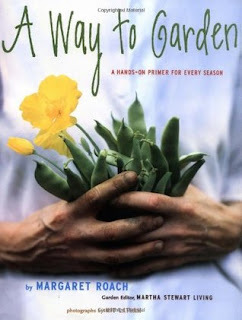 As I mentioned, most of the information is geared for the beginning gardener, with sections on everything from buying and planting seeds to pruning to forcing bulbs. That being said, I did learn a few things from it. 1: My peas MUST go in early, and my potatoes need to wait longer before planting! This was the kickstart I needed to get my spring stuff planted last Saturday. Also, now that I know that potatoes should wait until 1-2 weeks before last frost date, I've noticed more things that say the same things--the wildflower mix I want to plant, for example. Perfect! So now I think--oh, those need to go in at the same time as the potatoes. 2: Easy way to plant peas is dig a shallow trench (about 2" deep) and about 8" wide, then scatter them in there, and cover them back up. I tried it out this year and it was SO much faster! Nice! 3: Peppers are like tomatoes and will root along their stem--so you can plant them deep enough that only the top couple of leaves are showing. So, a few tips here and there. Hey--I'll take all the help I can get! Also, I wished there were more photos. The ones she had were beautiful, but I would have liked more. 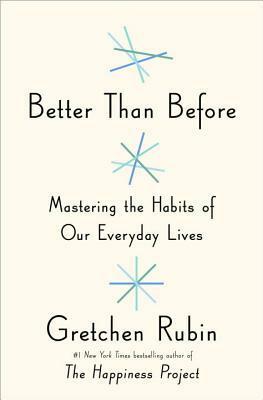 4 stars: Packed with useful information for getting to know yourself better and from there, how best to go about making good habits and dropping bad ones. I have been on the waiting list for this one approximately forever. I finally got to check out an ebook copy. Yes! This was great! It really gave me a lot to think about. She divides everyone up into 4 different kinds of people: Upholders, Obligers, Questioners, and Rebels. Each type either meets or resists outer and inner expectations. So without going into too much detail, I think I must be an Obliger, with a tendency to Uphold. :) Obligers tend to resist inner expectations, but meet outer expectations. Upholders meet both inner and outer expectations. I also thought her discussion of being a night owl or a lark was very interesting. I have always been a night owl, and have tried to change that on many occasions, with no success. She pretty much says--work with your natural tendencies on that one, don't beat yourself up trying to change it. Meanwhile, make sure you're getting enough sleep! I have decided to try for moderation with my sleep schedule. So my aim is to start getting ready for bed by around 10:00pm and have lights out by 10:30pm. While I was reading, I had an epiphany about getting up earlier, also. I would like to get in the habit of getting up by 6:30am, 35 minutes earlier than I do now. To that end, I am actually leaving my alarm set for 7:05am. I get really grumpy when I feel like I have to get up earlier than usual, due to the alarm going off. Also, my husband gets really grumpy when I ignore the early alarm and just go back to sleep. So this way, when I wake up earlier--thanks to going to bed on time--I can just get up. But if I don't, or I fall back asleep because I'm too tired, I still have my alarm on as a backup. I know, probably way too much info that you don't care about, but it has actually really helped me get up earlier! Another part I liked was the discussion about scheduling. One thing I knew I needed to work on was spending too much time on the computer. I enjoy working on my blog, and many other daily tasks require me to be on the computer, but lately I feel like I've been on it all day long. So to help that, I have scheduled a time to work on my blog every night after the kids are in bed. I don't waste time checking email or doing other things during that time, because that's the only time I'm allowing myself to work on it. I've already noticed a difference in my day--and I still get to do my fun blog work! Finally, I've started thinking about going off sugar. I think to do that, I would have to go off it completely. I try to pretend I can eat it in moderation, but I really can't. If it's there, I eat it. Haven't committed yet, but it's under consideration. Anyway, it has given me a lot to think about. As you can gather, I've made a few changes already, with possibly more to come! If you read this, I'll be interested here what you are and what you want to change!